For true adventurers a 2 or 3-day trip to observe four beautifully isolated lakes. 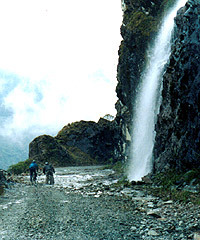 Sleep in an indigenous hut, horseback ride, fish trout and trek near Sangay National Park. 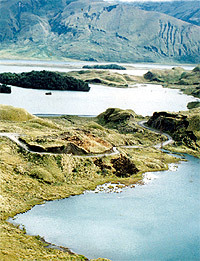 González Suárez, Ecuador’s predominant historian in the 19th century, writes these lakes were considered mysterious and ill-fated as pre-Inca inhabitants took their criminals and delinquents to die of hunger and cold at an islet still seen today. After passing the lakes, using the newly-open Guamote-Macas road we bike downhill towards the amazon rainforest.